Don’t forget we are always welcoming new members. 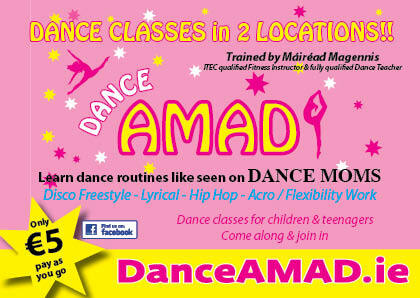 So whether you are a beginner or more experienced dancer come down and try out Dance AMAD. Della Salle School Hall, Raheny – School on front of Kilbarrack Shopping Centre. Dance AMAD School of Dance. 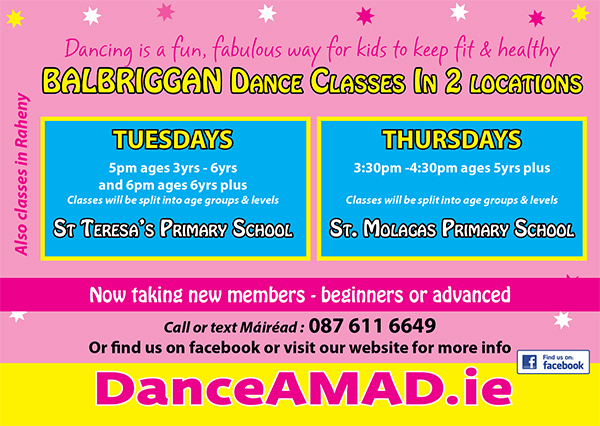 Dance classes for children and teenagers of all ages. Come along & learn to dance, Dance Moms style, maybe with less drama :o) Have lots of fun, get fit, meet new friends & learn to dance. Dance the Summer away at Dance AMAD School of Dance. Call or text Mairead Magennis Kearney on 087 611 6649 for more info. Or just come along at one of the above Dance Class times.